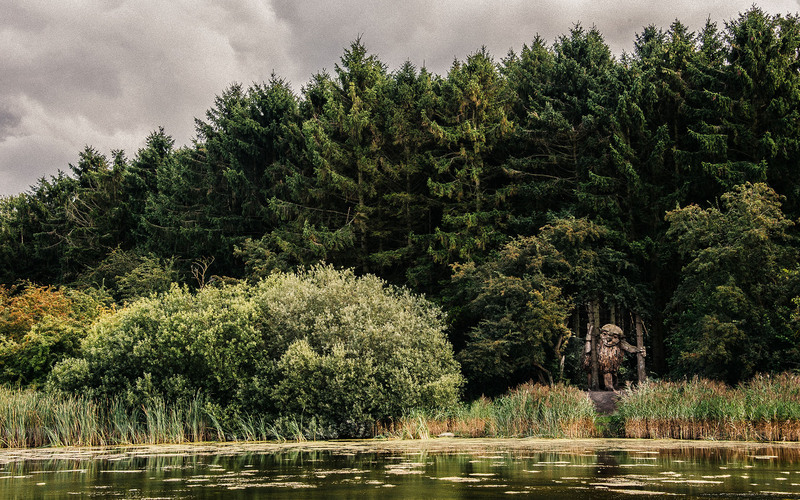 Have you ever been on a sculpture treasure hunt in nature? I hadn’t, and I would never have guess that I, a well-travelled photographer, would end up feeling like a tourist in my own country. 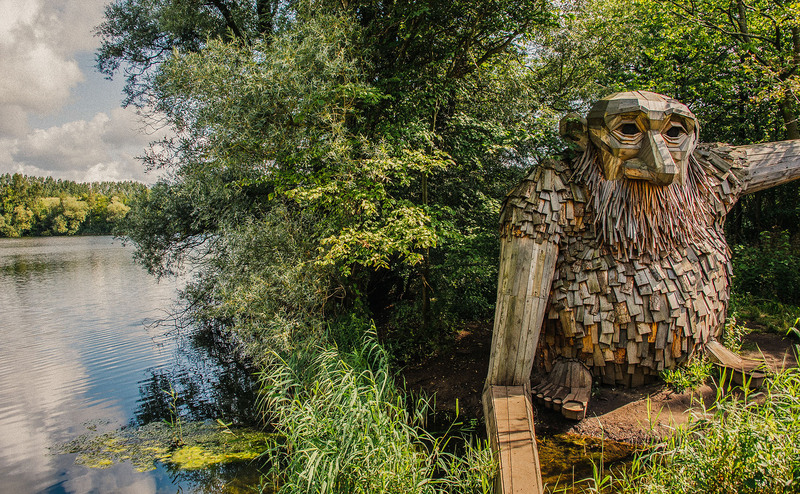 One August morning, just before the summer holiday ended, I went out discovering the suburbs of Copenhagen with a friend, chasing wooden, upcycled sculptures that resembled nature’s forgotten giants. 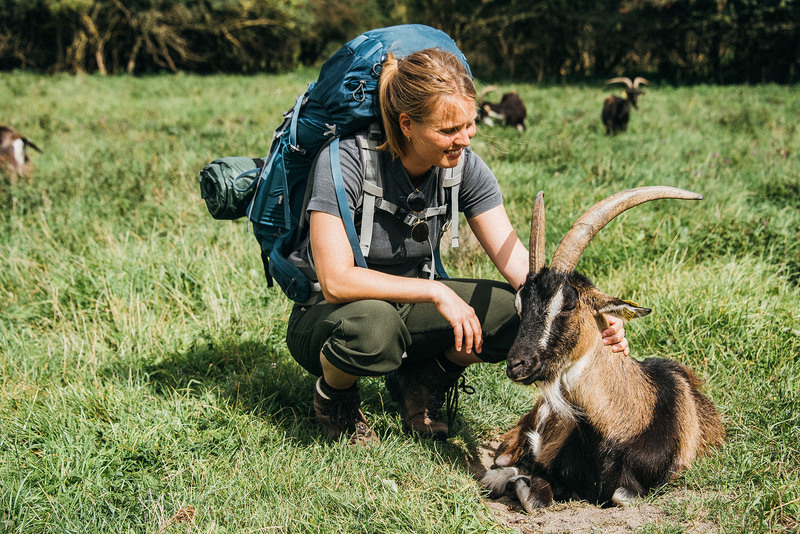 Less than thirty minutes away from the city centre of Copenhagen in Denmark, you can discover a completely different part of Copenhagen, something you won’t find in your average ten things to do in Copenhagen article. With our bags packed with food, water and a notebook, we met up at 10am at Høje Taastrup train station, and started walking towards the first destination on our treasure map – the sculpture Friendly Teddy. The different sculptures were marked out on google maps, and logistically weren’t hard to find. But they took us places we would never have imagined. 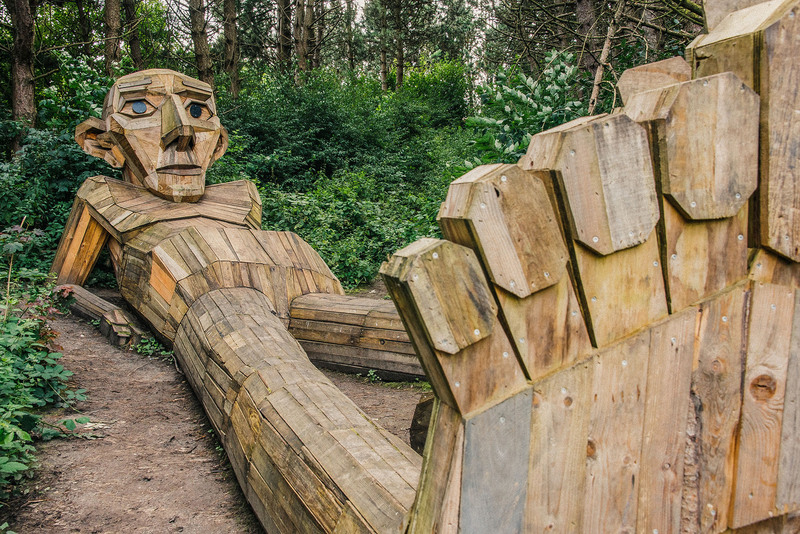 By a small swamp, surrounded by trees, a giant, beautiful statue was sitting, welcoming everyone who stumbled upon it, with his long, reaching arm. Despite being made entirely out of wood and nails, his face was filled with charisma. After walking around the sculpture, admiring the craftsmanship, we sat by the swamp talking, and shortly after, a small group of locals and tourists came by. They were also hunting the sculptures of the giants, and before we knew it, we had been standing, talking for a little over half an hour with them. We continued our journey, crossing highways, IKEA stores and big shopping centres, before immersing our self in nature areas once again, following a creek all the way to the next giant sculpture. 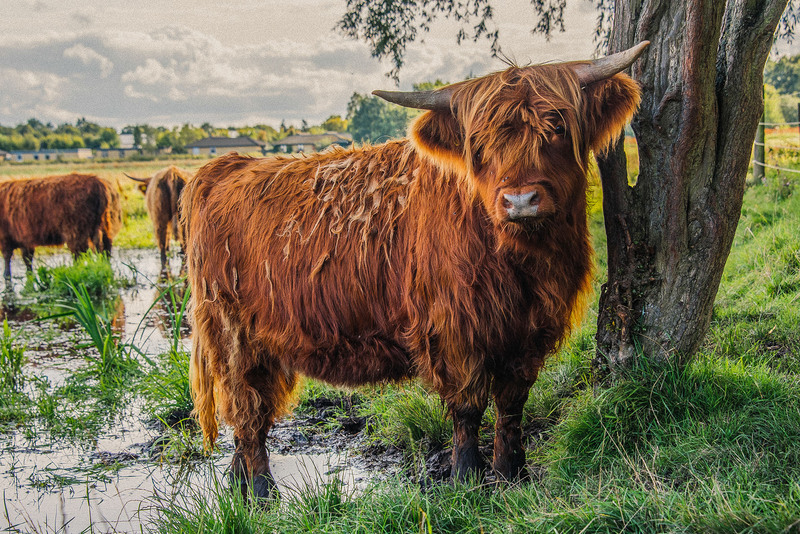 On our walk through the suburbs, we met goats, sheep, various bird species and highland cows. We ate blackberries off the bushes and enjoyed our lunch on the top of a hill, sitting on one of the giants – Thomas on the mountain, looking over the suburban nature. Every local we passed on our way, stopped to talk with us, to hear what we were doing, walking around with our big backpacks. We quickly started talking to them about the sculptures. Like a monument, they all felt proud of the project, and eager to talk more about how it had influenced the surrounding area and how they now met more people and tourists who were walking around their neighborhood, because they were searching for the sculptures. It felt as though I was far out in the countryside, not thirty minutes from the city center. The sculptures took us all over the suburbs, and after walking over 30 kilometers, seeing four out of the six sculptures, we hitchhiked and got a lift by a man in a veteran military car. 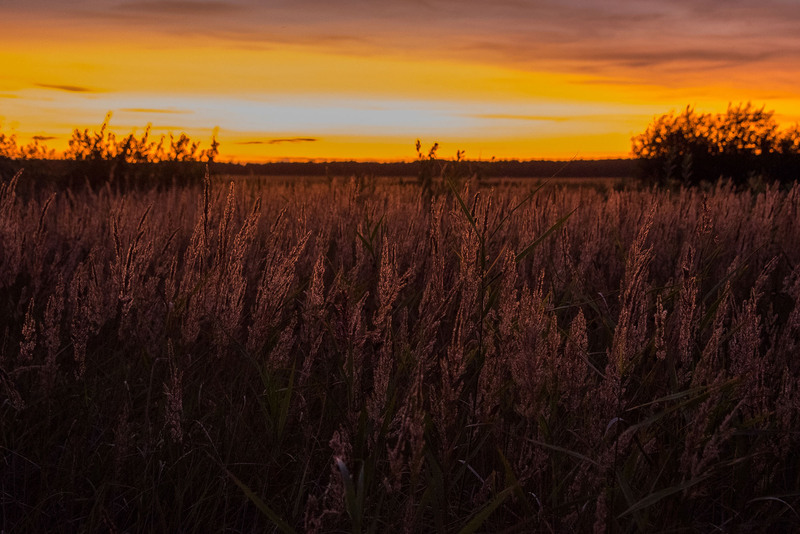 We ended up camping out in the wild grasslands for the night, and reached a place to set up the tent just before dusk, still only thirty minutes from the capital center. Here we enjoyed the sunset, cooked dinner and made a small bonfire, while reflecting upon our incredible adventure in the “backyard” of Copenhagen. 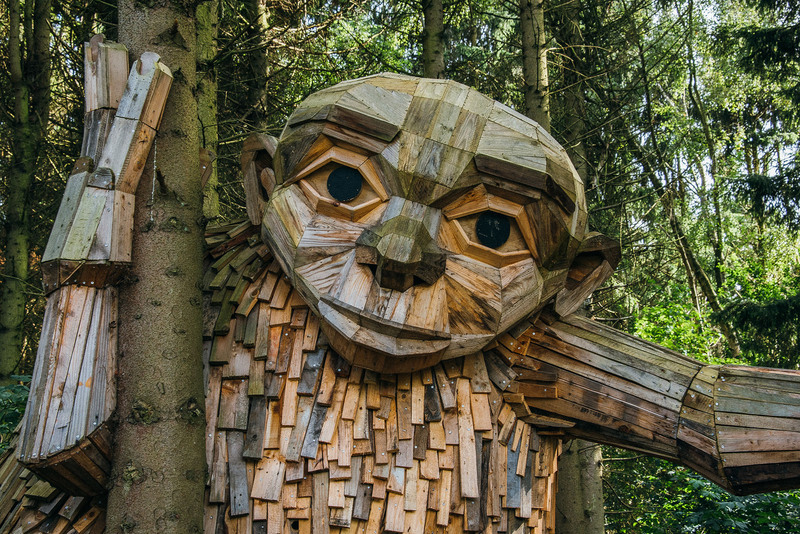 The artist behind this incredible initiative is Thomas Dambo – a Danish installation- and sculpture artists, who uses recycled materials to create his art pieces and projects. He realised how much useful wood was thrown away, and started his career with the project Happy City Birds, after his grandma had pointed out that not everybody would acknowledge the value of graffiti, but everyone could acknowledge the value of a bird house. He has now made sculptures out of upcycled materials all over the world and continues to do so. 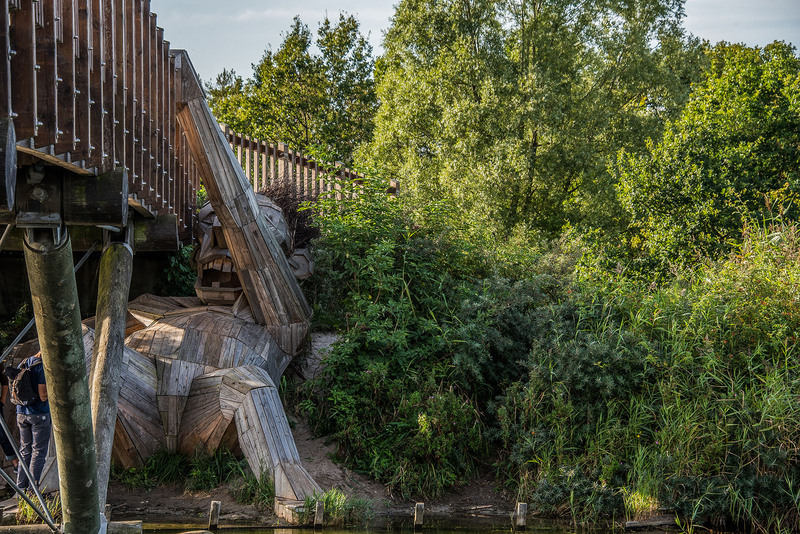 He was asked by the nature foundation of Vestegnen to contribute with his sculpture to bring people out in the nature areas of the Copenhagen suburbs, also to change its mistaken reputation as a ghetto area. In this waty, Thomas agreed to help and the project was established. Art sculptures have the power to bring people places they normally wouldn’t have gone to. Placing them in nature, is a great way to bring people out and away from their regular route. People have a tendency to walk the same path to a place every single time, but here was an opportunity to bring people out to those places that they normally wouldn’t go. Thomas Dambo created a treasure map, locating the sculptures, not only to engage children, but to make people more interested in the project. In this way, it wasn’t only the giants that would end up being discovered, but also the surrounding nature. The sculptures take people places that they normally wouldn’t ever go to. They took me places I wouldn’t ever have visited. The combination of art, storytelling, beautiful craftsmanship and social engagement is the result of a unique way of visiting the suburbs of Copenhagen and a different way of experiencing the country. The sculptures can be reached either by walking like I did with my friend, or by biking. With more than 50% of the Danish population using the bike, as their preferred form of transportation, I recommend increasing the authenticity of the experience, by renting a bike and start discovering the incredible sculptures of the forgotten giants yourself.